I'm in/was in/have done a bunch of bands over the years. 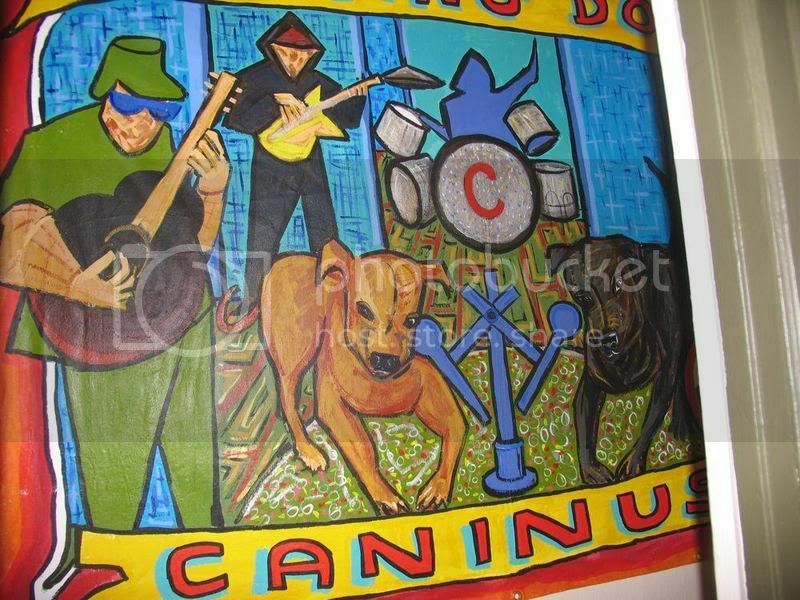 One of our ongoing side projects is called Caninus. 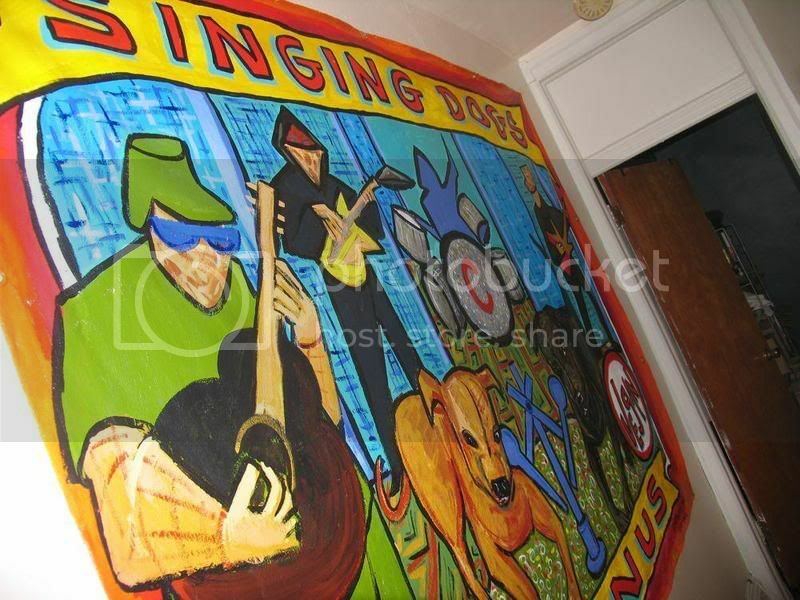 Its a band we started where our dogs are the singers. It started out as a joke obviously but the project grew legs and all sorts of magazines & newspapers picked up on it and, etc. 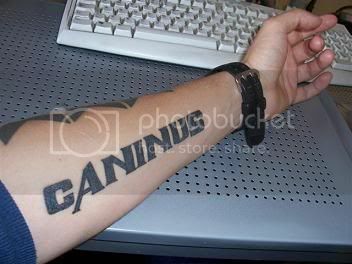 Anyway, the amazing guys who I work with who put out the Caninus albums had this done a few years ago and waited until now to show me! Needless to say, I'm speechless. This was done by the legendary Marie A. Roberts. 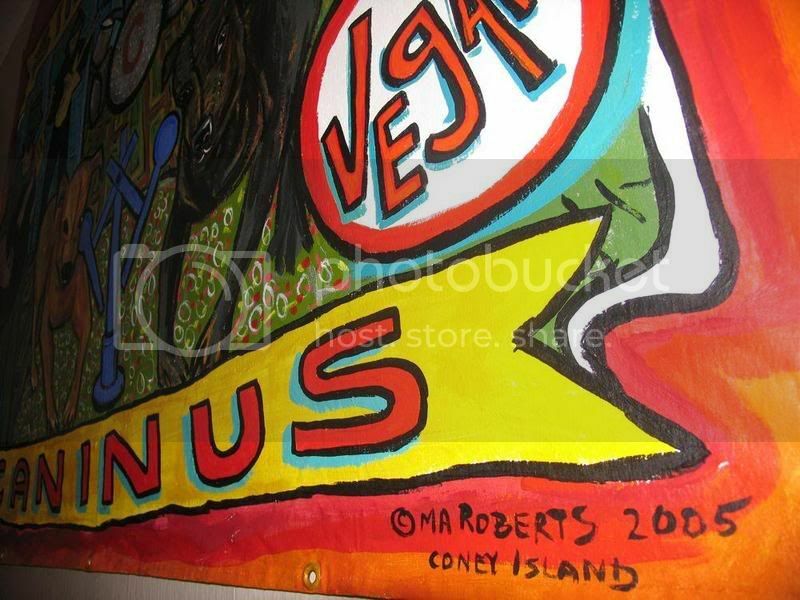 She's the artist behind all those classic Coney Island side show banners! You can read more about her here and here, too. 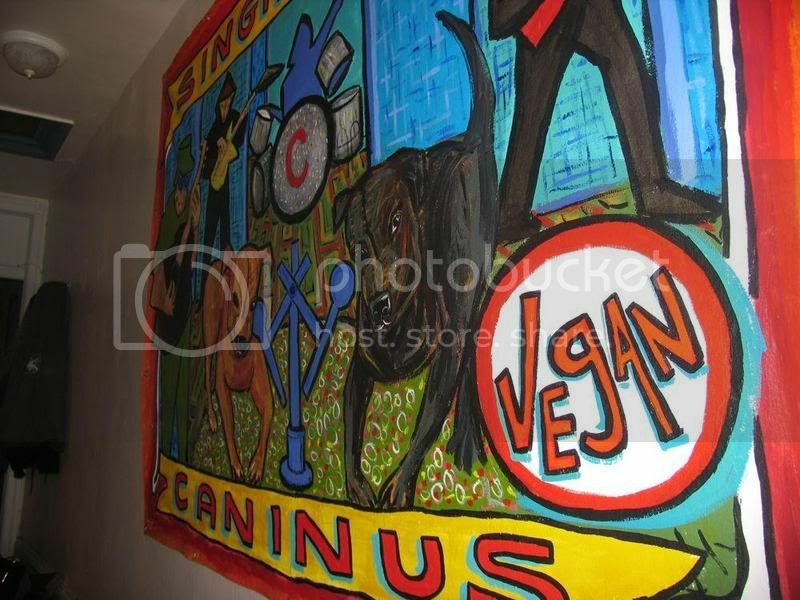 Wow, they brilliantly managed to convey your obesity in the painting. Kudos! I'd rather be fat than jealous.